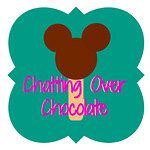 Chatting Over Chocolate: Pintastic Goodness! Have a sweet second half to your week, friends! Weight Watchers jalapeno poppers?! Um, yes please! You ALWAYS have the best pins, Brenda! I'm borrowing the fries and broccomole. I'm trying to watch what I eat but I LOVE fries. This recipe looks a little less guilt-ridden. Thanks for helping me out! Have an awesome rest of the week. I'm off to the first day of school with the kiddos tomorrow... can't wait! Oh yes I've made those WW Jalapeno Poppers those also where a hit with the women's group.